According to the Verizon 2015 Data Breach Investigations Report, in 60% of cases, attackers are able to compromise an organization in minutes, yet only less than a quarter of these cases are detected within days or less. What if your database could learn the patterns of your workload and alert you of a potential breach before it’s too late? 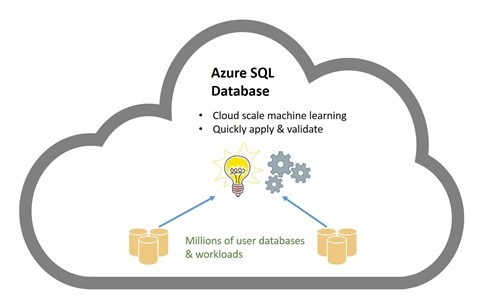 By choosing Azure SQL Database, an intelligent cloud database, you get the freedom to focus on what you do best – building the key value in your app and business. How quickly can you detect a threat or anomaly in your logs? Apps run as designed most of the time, but even with the best designs something unplanned will likely happen sooner or later. A malicious attacker may attempt to break in and steal sensitive data or cause unavailability with a denial of service attack, ultimately causing serious damage to your business and reputation with customers. Without an alarm system, some actions can’t be detected until the damage is already done, and diagnosing “how did this happen” could take weeks. Threat Detection in SQL Database acts like a round-the-clock security guard, monitoring your databases logs and running detection algorithms on telemetry in real time. Unlike a human security guard, Threat Detection easily tracks millions of transactions to find the needle-in-a-haystack, a malicious attacker. When it discovers suspicious activity, it will proactively notify you and enable you to respond and mitigate any potential damage. How much time do you spend tuning your databases? If you don’t have a DBA, the quick way to tune your database is to hire one of the exceptional experts available. But if you are a small company or need your staff focused on other activities you may want to make another choice. Azure SQL Database will act like your virtual database tuning expert with features like Query Store and Index Advisor. By using Query Store, a “flight data recorder” built deep into the SQL Server engine, the service is able to track each query and its duration, frequency and resource utilization. Based on this telemetry, automatic algorithms are developed to optimally tune your database exactly to your queries. As your app evolves and queries change, the self-tuning will continue to ensure your queries are optimally performing. Index Advisor automatically identifies the right non-clustered indexes to create or drop and proactively implements the changes to the database. Furthermore, it will automatically test and verify each of its actions to ensure performance only keeps improving. For users who would like to review all suggestions before they’re applied to the database, Index Advisor is also available in recommendation mode. Are you spending your time on most important activities? As your business grows, so grows the complexity of managing the application to handle the increased loads. It gets hard to focus on fixing only things that matter to your customers. Even with expert database admins, you risk spending too much time on activities that do not directly impact customers. SQL Database takes on the work of managing your databases, looking for opportunities to improve and ranking those opportunities by importance. All you need to do is review the top actionable recommendations and decide which ones to accept. Built-in intelligence will help you be more productive by suggesting optimizations for each one of the hundreds and thousands of databases you may be using. One example of this is Dynamic Data Masking. Dynamic Data Masking will help you tighten up security by recommend masking the potentially sensitive data, such as credit cards and personal user information, from all non-admin users. Various other advisors in Azure SQL Database will help you make the right choices for security, performance and scale of your app. Are you ready to explore SQL Database? Open a free account and connect your apps to an intelligent database. Check out this video on how to create a SQL Database in seconds.